I’ve really let this thing go by the wayside. For the past year I’ve been focused on pitching and writing for publications. But right now I’m employed full-time and don’t really have the time to focus on pitching so much. As well, I miss blogging. I miss having a sandbox to try whatever I want. Moving forward, I’m hoping I can start blogging regularly again. I recently saw The Imitation Game. 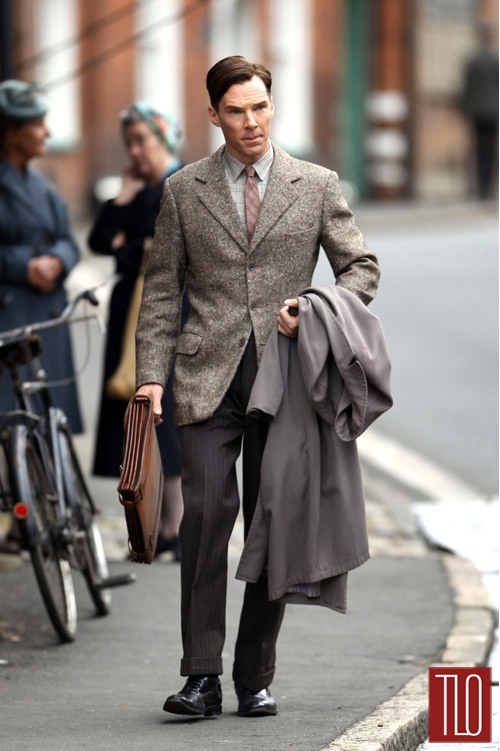 It’s a biopic about Alan Turing staring Benedict Cumberbatch. It focuses on Turing’s contributions to the Allies’ victory in WWII. It’s pretty good. 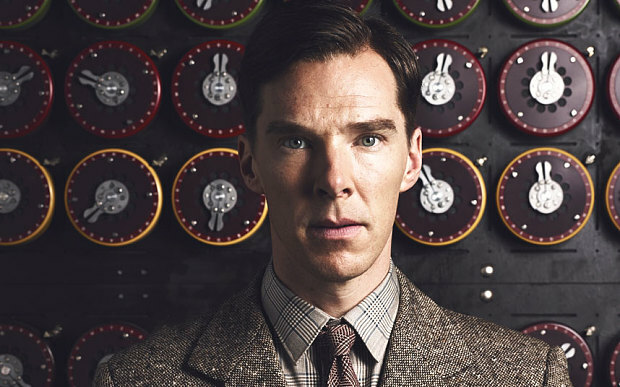 However, I had high expectations given Turing’s incredible story and the movie’s cast. The movie deserved a better director and script. The New Yorker‘s review sums up how I felt about it. Turing’s story problematizes the egregious “good vs. evil” narrative of WWII. We use WWII and the Nazi to entrench our (North American/Western) moral superiority: There were some evil folks doing evil things, but thankfully we were there to stop them and set the world to rights! There are numerous counter-examples to this sort of jingoism (rejecting Jewish refugees, firebombing Dresden, the list goes on), but I want to bring to attention the fate of Turing, who arguably saved the Allies, compared to the fate of Wernher von Braun, who bombarded the Allies with his V-2 rockets. Before I continue, I should say that if you plan on seeing the movie, there are some spoilers ahead. I’ll be talking about Turing from a historical perspective without much consideration given to the movie, but if you want to go in totally fresh, you may want to stop reading. Alan Turing was a genius British mathematician who worked with the Allies during WWII. His biggest contribution was cracking the German code by solving the encryption device called Enigma. To do this, Turing built what is considered to be the first modern computer. Churchill called Turing’s breakthrough the single greatest contribution to the Allies, and it is estimated that he shortened the European war by two to four years. Consider the value of these two achievements: 1) ending the war, and 2) inventing the computer. I’m being slightly hyperbolic, but he was undeniably instrumental in both. Turing should be an international hero and household name, on the level of Albert Einstein and Charles Darwin. What gives? He was gay. Shortly after the war, Turing was outed and charged with “gross indecency.” Homosexuality was still criminalized in Britain at the time. Instead of serving jail time, Turing chose to be chemically castrated. His career was also curtailed as a result of the charges. He ended up committing suicide at 41 by allegedly eating an apple that had been poisoned with cyanide. Now, let’s compare Alan Turing’s fate to that of Wernher von Braun. Von Braun was a German engineer. He joined the Nazis, and later the SS, shortly after finishing his dissertation. 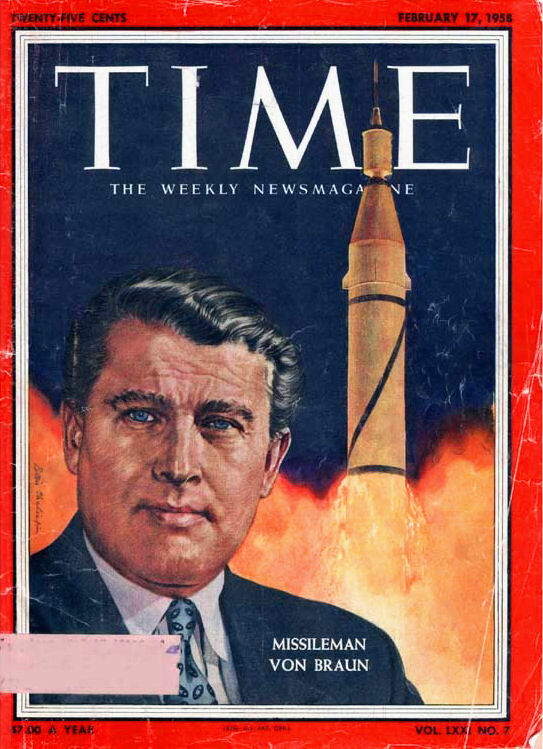 Von Braun’s greatest contribution to the Nazis was the V-2 rocket, the world’s first ballistic missile. The V-2 is responsible for the estimated deaths of nine thousand civilians, as well as the 12,000 who died in the labour camps at the building sites. And what happened to von Braun after the Third Reich fell and he was captured by the Allies? Von Braun, however, was the greatest catch. He was employed at NASA, where his genius flourished. He truly is the father of modern rocket science. Without him, the Americans probably would never have landed on the moon as quickly as they did. For his efforts, he was awarded the National Medal of Science. It would seem that we were willing to forgive von Braun for his Nazism and mass-murder but not Turing for his homosexuality. I realize it’s not so cut and dry. Like many Nazis, it is difficult to discern how much von Braun knew about the nefarious projects. But, he was an SS, which had a fairly rigorous application process. Truman specified that no “active supporter of Nazi militarism” were permitted into Project Paperclip. However, intelligence agents took care to whitewash any of their star candidates, including von Braun. Albert Speer certainly didn’t get the same treatment as von Braun. Speer, known as “the Nazi who said sorry,” was Hitler’s de facto architect and later the Nazi minister of munitions. He left the party before its collapse and admitted compliance. For his candor, he was sentenced to forty years in prison in Spandau. In regards to Turing, much of his work during WWII was classified, so perhaps the powers that be weren’t aware of who they were dealing with. But is it a stretch to imagine MI6 stepping in for their boy who’d done so much and continued to work for British intelligence and communications? Seems to me like they hung him out to dry. Aside from the cruelty Turing suffered, what gives me pause about all of this is the following: What have we lost and continue to lose because of our prejudice? And what do we cruelty do we allow to continue because of privilege? Unless you’re a straight, white dude, you’re facing an uphill battle. Some break through, most don’t, and too many are lost to suicide. Somewhere, there’s a transgender kid with the cure for cancer in his mind, but instead of sharing his gift with the world, he’s lying dead in his mom’s bathtub with his wrists slit. That should keep you up at night. ~ by braddunne on January 5, 2015.